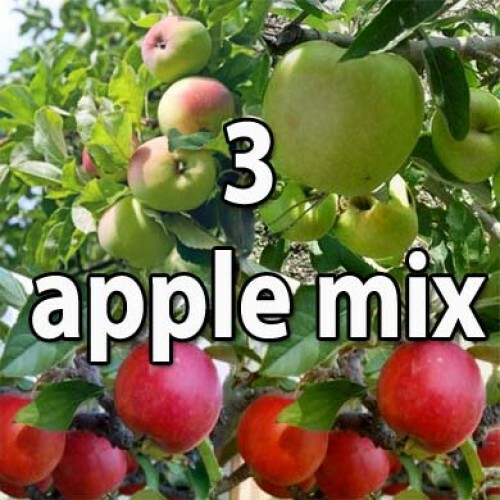 Three great apple trees to start any allotment or garden orchard. Bramely Seedling is the best cooking apple for all desserts, especially pies, or sauce. Two great eating or dessert apples James Grieve and Katy are scrumptous off the tree, crisp and sweet. And the best thing is that they will pollinate each other! What a great special mix from ScotPlantsDirect. Value Mix Saving of £5.90: You are saving £5.90 buying this mix as buying these plants individually would cost £47.85. NOTE: ScotPlants Direct can only supply bareroot trees when they are dormant during the winter months but you can PRE ORDER now to ensure an early delivery date at the start of the season in November.. These trees will be delivered between November to March annually.